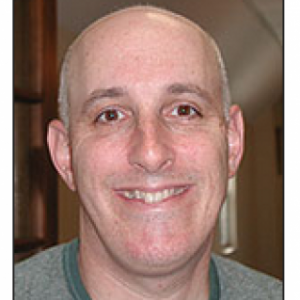 Professor Himelfarb, associate professor, received his B.A. from the University of Maryland in 1985 and his M.A. and Ph.D. from the University of Rochester in 1993. He teaches courses in American politics, contemporary issues inAmerican politics, and the US Congress and the presidency. His scholarly interests include matters relating to the elderly, health care, and poverty policy. 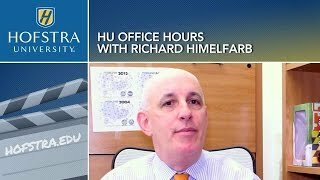 Dr. Himelfarb is the author of Catastrophic Politics: The Rise and Fall of the Medicare Catastrophic Coverage Act of 1988, published by the Pennsylvania State University Press. The rhetoric was “a lot more of the same,” said Richard Himelfarb, professor of political science, in an interview with FIOS1 News about President Donald Trump’s televised address and the Democratic rebuttal about border security on Jan. 8, 2019. 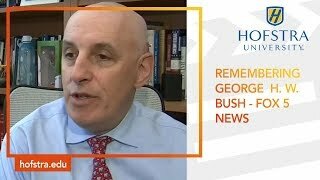 Associate Professor of Political Science Richard Himelfarb was featured in a Fox 5 News report that looked back at highlights of Hofstra’s 1997 conference on the George H.W. Bush presidency. “I think what’s really interesting about Ivanka is that she’s being called her father’s most important adviser in the White House, and that she’s going to be giving him substantive political and perhaps policy advice while he’s president,” said Dr. Richard Himelfarb, of Hofstra University. Political experts and pollsters say Clinton, 68, the presumptive Democratic nominee, and Trump, 70, the presumptive Republican nominee, must ramp up their efforts to woo millennials — voters ages 18 to 35 — if they want to win in November. “It’s one of the voting blocs they have to win,” said Richard Himelfarb, an associate professor of political science at Hofstra University. 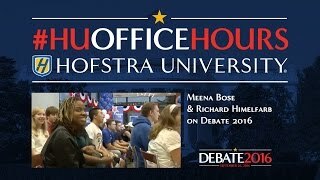 Richard Himelfarb talks about the first presidential debate between Hillary Clinton and Donald Trump being held at Hofstra University, where he is a political science professor, describes some of the university’s offerings on the 2016 presidential election, and student interest in the election. Richard Himelfarb, a political science professor at Hofstra University and host of presidential debates, says Trump's refusal to tone it down could be his undoing. 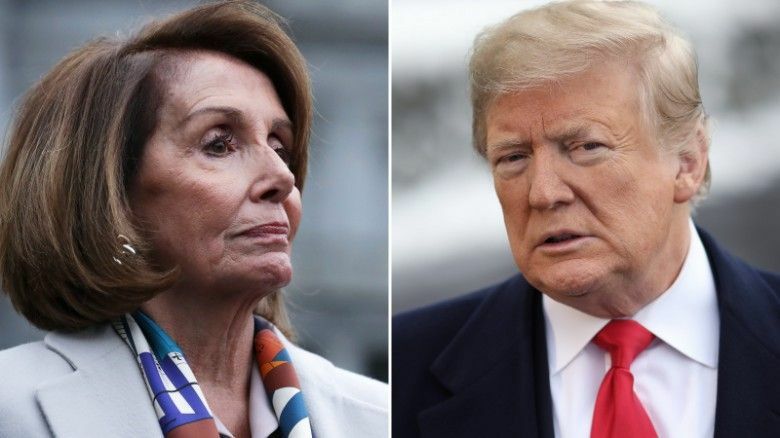 "Donald Trump is going to keep doubling down on this and will ultimately say something so absurd that even Republicans who agree with him and his stance will have to abandon him," said Himelfarb.